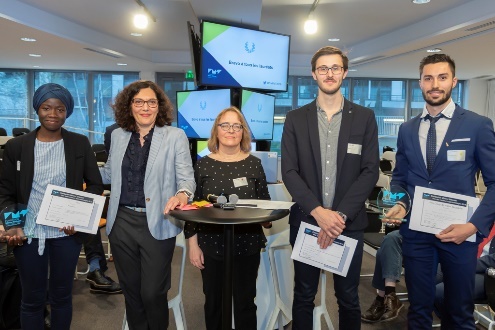 The Fondation Mines-Télécom awards ceremony was held on Wednesday, March 27th at Orange Campus, founding partner of the Foundation. 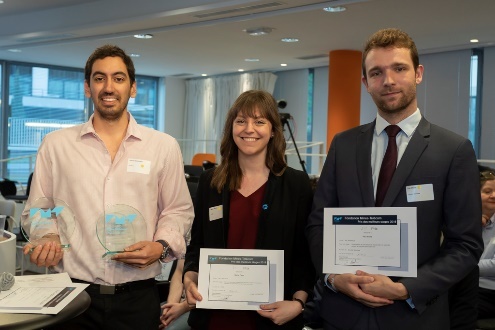 It revealed the big winners of three categories: End-of-Studies Internships, Apprenticeships and Theses of the Futur & Ruptures research program. It was a unique opportunity to discover the exciting and promising backgrounds and journeys of the 15 candidates in the running. 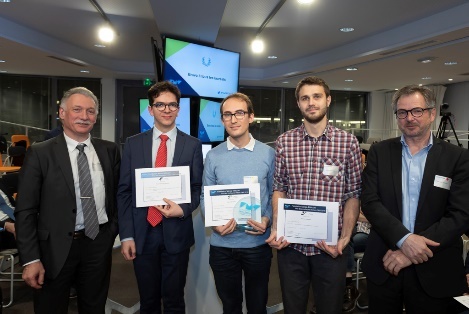 The winners shared a total envelope of €16,000 funded with the support of Fondation Mines-Télécom’s program partners. * The Futur et Ruptures program is co-funded by the Fondation Mines-Télécom and Carnot Télécom et Société Numérique. Galanck, a jewel of French fashion tech and the creator of the connected backpack “Le Galuchon”, was showcased during the event. The founders of the recent start-up received a loan on trust of €60,000 from the Fonds IMT Numérique, co-financed by Fondation Mines-Télécom, Bpifrance and Revital’Emploi; this is a concrete example of the impact of Fondation Mines-Télécom’s actions to support business creation through the 11 incubation sites at the 8 IMT schools.